I used a "paper planner" a lot in high school and University. When I graduated I was a mom, and for the past 8 years, I've mostly used a calendar on the fridge for scheduling. 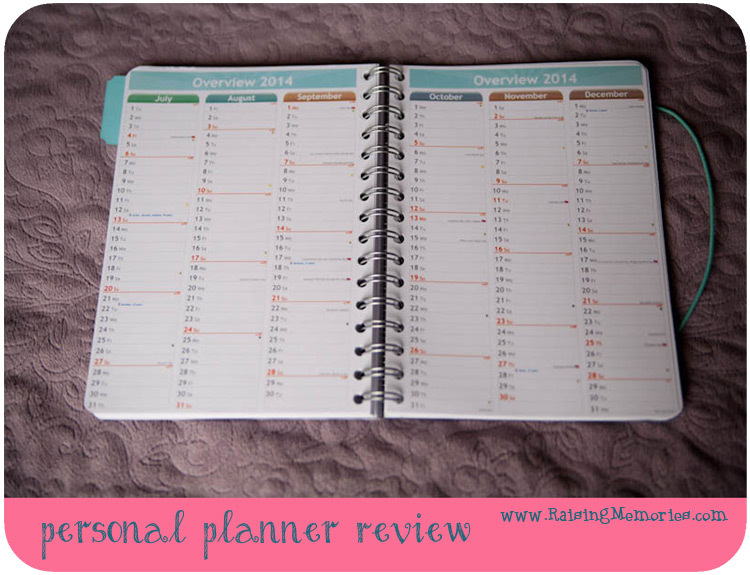 I was excited when personal-planner.com asked if I'd like to try one of theirs! 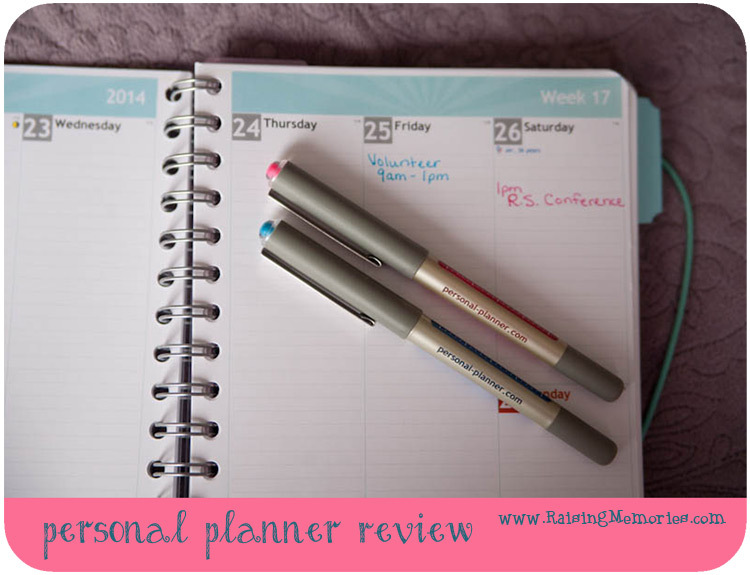 I do love list-making and writing, so I was excited to get back into using a paper planner! The planner arrived over a month ago (at a time when I wanted to try vlogging more). I'm not giving up on it, but I haven't done as much of it as I thought I would. I think seeing this particular vlog embarrassed me, so I wasn't too excited to make another one! haha :) Especially the first part of the video- I cringe to watch myself because I can tell how unnatural I feel talking to the camera ;) Oh well, it does give you a bit of a view of the planner, so I'm going to share it after all. 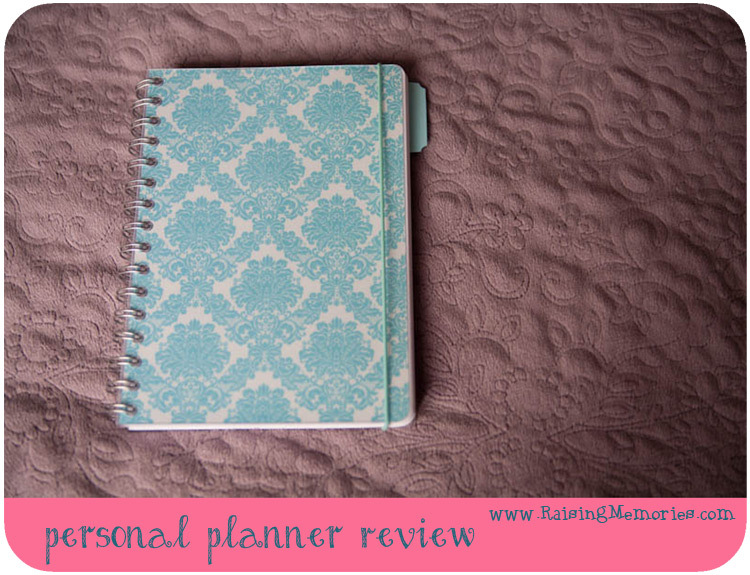 So, when I got onto the website I decided on the A5 sized planner (they have 3 other sizes available) and then checked out the patterns and designs available (there are more available now than there were when I ordered). I decided to design my own (love that they have this option- you can use your own photos and personalize what it says on the front if you want). I found a pretty digital scrap-booking paper and uploaded it for my background and decided not to write anything on the front. I used the same pattern for the front. When I photographed this, I noticed that my back is faded! I'm not sure if it was always like that or if the sun faded it (it was sitting on my night stand near a window for a while, but I'm not sure if the back side was up). So that's too bad if they printed it that way, and too bad if it fades too! But at least it's the backside that's faded - I still love the front! Then you choose your modules (which are the sections across the bottom of the planner- purple and orange for mine). I chose "List of the Week", "Ruled", and "To Do This Week". The little calendar is automatically included. Other tempting options were colouring pages for your kids, sudoku games, ruled paper, blank paper, grid paper, music paper (like with the staff lines- how cool! ), maps (in colour), address list, and coolest of all if you're a teacher: a 40-page teacher planner section! (They have different options for preschool and different grades and these include a bunch of different charts and things to keep track of what your students are up to and how they're doing). 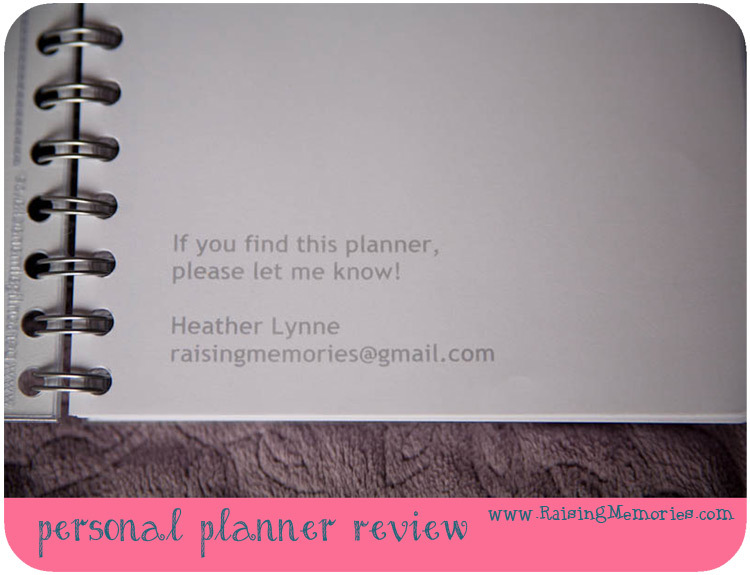 Next up is the "Owner Info" page where you can leave a note with some contact info in case someone finds your planner without you. I also put a quote that I like on this page. Back when you were choosing your inlay design, there was an option to choose whether you wanted to include personal dates or not. You can enter names of people and dates of their birthdays or anniversaries or any other special dates you want to remember. Then the planner automatically puts those dates into your planner on the day in your main planner and in your year-in-review! I love that! 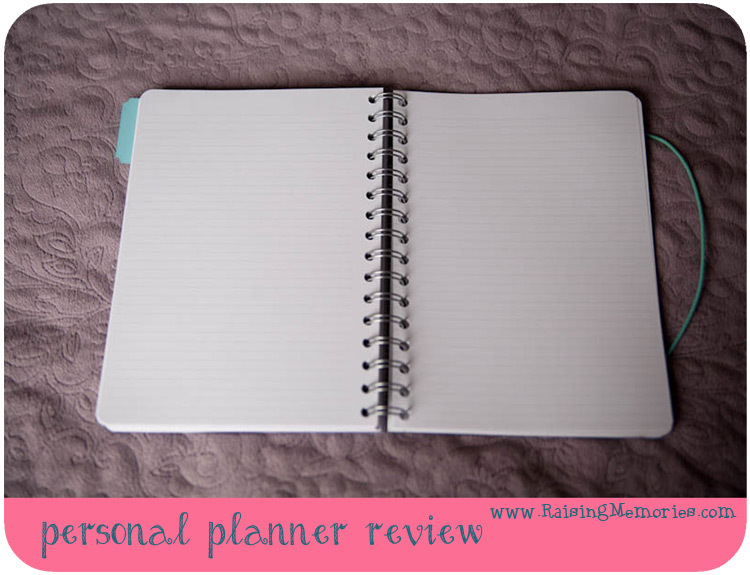 The personal planner website also has accessories available such as extra rulers, plastic sleeves (Oh, I forgot to take a picture of that! You get one included), elastic closures, and pens. (You get one of each of those things included with your planner- except for the pens) I checked out a few of their pens & I really like them a lot! I love that they come in fun colours, too! Oh, and one other accessory you can get is a nice leather cover for your planner. They also sell personalized wall planners and notebooks. *phew*! So that was a rather detailed review, I hope it helps you out if you're looking to buy one! 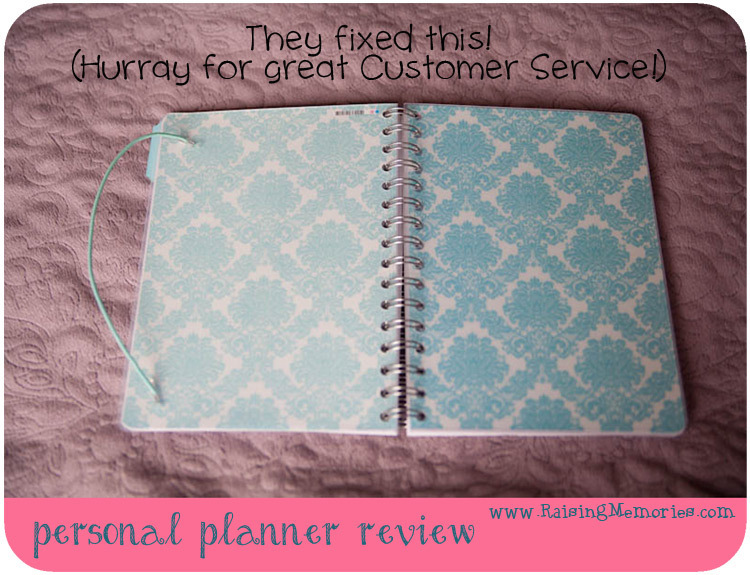 And because the people at personal-planner.com are sweet hearts, they not only gave me a planner to review, but they want to give one of you a planner as well! Just fill out the form below to enter for your chance to win! This was so helpful. 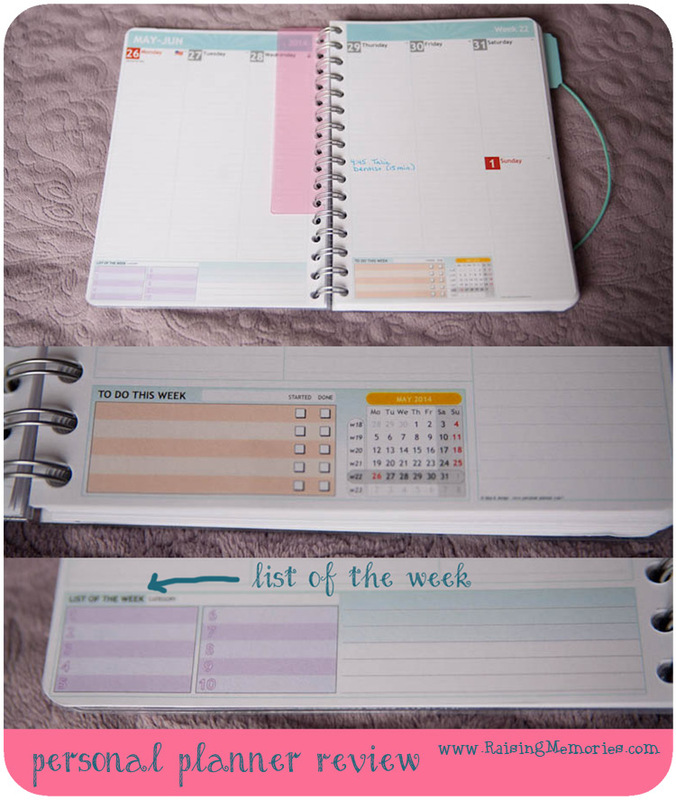 I've been looking for a planner. 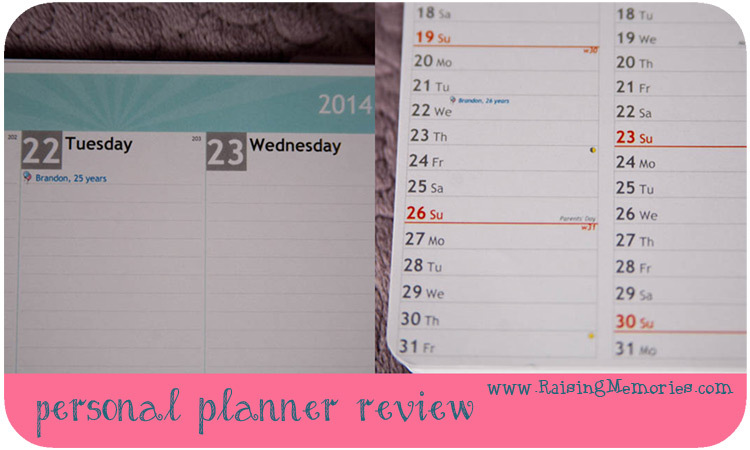 Either they're no good, too expensive, or I'm not sure it's actually a good planner. Thank you for this extensive review!